Want to host your wedding in a contemporary yet elegant set up? Then opt for the Smoke House Deli, Bangalore. The stylish wedding venue has a limited capacity, which makes it ideal to organize a low-key wedding reception or ceremony. It also offers their in-house wedding catering team to spruce up the overall menu options. The venue lets you get a wedding decorator of your own to design the venue, just the way you want. Venue is not having any banquet hall, only restaurant. Ward 72 Hal, 2nd Stage, Opp Starbucks Coffee, Indiranagar, Bangalore, Karnataka- 560008. 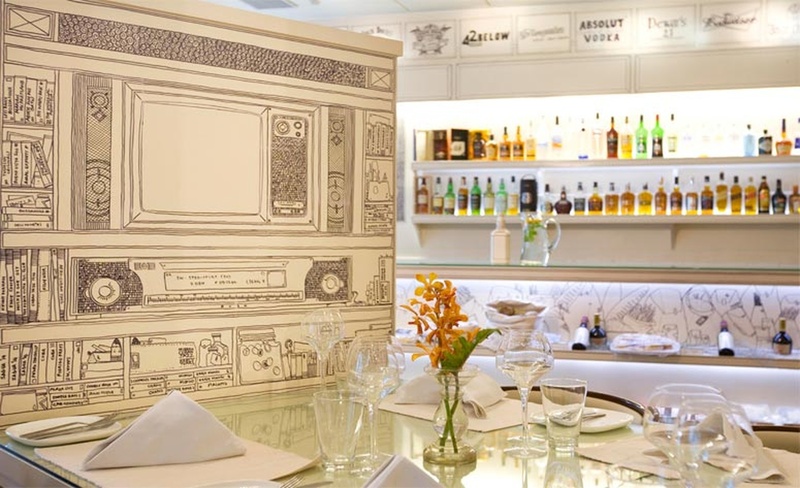 The Smoke House Deli located in Indira Nagar, Bangalore has Cocktail Venues and Banquet Halls. Hall can accommodate upto 50 guests in seating and 100 guests in floating. Vegetarian and Non Vegetarian food is served at this venue. Features of this wedding venues are : Food provided by the venue , Non-Veg allowed at the venue , Alcohol allowed at the venue , Halls are air Conditioned , Ample parking , Packages starts at Rs 1000 per plate for vegetarian menu and at Rs 1400 for non veg menu.